USER REPORT: The Sony Nex-7 with Zeiss ZM lenses. First of all, I’m not a photographer. I’m a publisher (living in Belgium, so pardon my English language mistakes) of a trade magazine for the music business (that’s really a niche market). Besides that, I’m a photography enthusiast for more than 50 years, since my late father (who was nothing more than an enthusiast himself) learned me how to shoot with a Zeiss Ikon. Beside that, I never had any photography education what so ever. My education was music, and maybe (I hope) I got a sense of aesthetics from there. Because I wrote some comments to some articles on your website before, maybe you know that I love your site very much, because of your real life and “human” approach that really appeals to me. The reason why I write you this time is double. First of all, I use the Sony Nex-7 (one of the most anticipated camera’s of the last year) now for quite some time, since December 30 to be precise. And I think that I’m probably (one of) the prototype(s) of the Nex-7 user: a real enthusiast who wants to enjoy shooting pictures as much as possible. Second reason is that I’m also a huge Carl Zeiss fan. And with the Novoflex adaptor, I can use my ZM lenses on the NEX-7 body. I use three lenses: the Biogon 2,8/28 ZM, the Planar 2/50 ZM and the Tele-Tessar 4/85 ZM. When I bought my previous camera, a NEX-5, it came with the Sony E 3.5-6.3/18-200 OSS. I’m keeping this lens, because of its 200mm capability, but I have to say that up till now, I never felt the need to use it, because I find shooting with the Zeiss glass to be so much more fun! Why am I not a Leica fan? 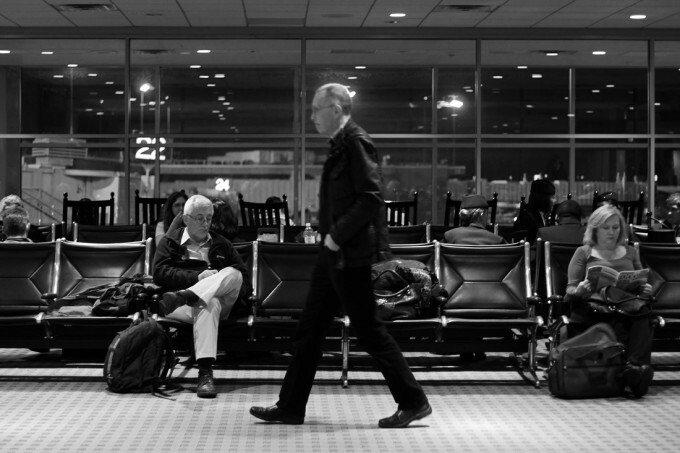 Well, in fact I am, but more in the sence that the Leica M9-P is my dream camera. But it’s simply to expensive for my kind of use. It’s simply not justifiable. So I guess it will remain a dream. But hey, isn’t it nice to have a dream?!! In my opinion a photography enthusiast is somebody who’s not taking pictures as a profession (although in my job I regularly use my own pictures), as such he doesn’t take as many pictures as a pro, but he nevertheless tries to use his equipment to the fullest and is always looking for the best possible shot. So he’s definitely not a point and shoot photographer. We both now that many of your site visitors are enthusiasts, so what I write about my NEX-7/Zeiss ZM experience is probably very relevant to many of them. When I look at the “Daily Inspiration” publications on your site, sometimes I see pictures that really “Waw!” me. They are shot by great pro photographers, who can do things with their camera that I simply can’t. Maybe they shoot in better light circumstances, most likely they know better how to process the image afterwords and surely they use different material (the Leica M9 sensor for instance is clearly superior to the NEX’s). Not to forget that they developed “a better eye” than most enthusiast ever will. So many of your site visitors will, like me, never be able to reach that level. The more relevant I guess it is, to see what an average, but nevertheless serious enthusiast can realize with this material. From a budget point of view the combination of NEX-7 with Zeiss ZM lenses is about the best one can get. And I know that in some circumstances there is a magenta color shift on the NEX-7 with M-mount glass. But really, when I consider that I just took shots as always, I must say that as far as now, it has never bothered me. And I even shot the Biogon wide open sometimes. But, probably like many enthusiasts, I don’t ALWAYS shote wide open. I recently visited the NAMM show, a big music trade show in Anaheim, CA, for my job and took quite some pictures there for our publication and just for fun. (Unfortunately the skies were grey during our visit.) When I shoot the exposition booth of our clients, it’s important that one can see as much as possible, so the DOF must be as large as possible. Also when I want to give a general impression of the fair, I think one must see as much as possible. In those pictures, my goal is probably different of yours. When I want to paint the atmosphere – I don’t want to focus on only one particular detail, but I need to show everything that’s going on there. This is important for our readers and our clients as well. Coming from that background, I always have been oriented towards an as large as possible DOF, with as much as possible detail. And that’s where the Zeiss lenses (in my opinion) outshine. It’s only since buying the NEX-7 and finding the SteveHuffPhoto website, that I also targeted towards shallow DOF and that I tried to achieve this very beautiful 3D effect, just for fun. How come? Well it’s undoubtedly thanks to the NEX-7/Zeiss combination. To me the camera size and weight is perfect. I can have it around my neck permanently, without being bothered by it in the slightest way. Yet it’s just a little bit bigger than the NEX-5, that a found just too small to be practical. And of course the wonderful view finder (I NEVER AGAIN want to shoot with a camera without view finder!) and the extra control knobs make it such a tremendous joy to work with. I have never shot that much pictures just for fun! I can do everything manually again, but now in a very easy and smooth way. And this brings me the real joy of photographing. You know, I’m an enthusiast. My goal is not to shoot “The Picture of The Year”. My goal is to enjoy shooting pictures, and at the same time trying to take nice pictures and to continue improving. The NEX-7 gave me already so much more inspiration and ideas to improve my photographic skills, mainly about where to look at while focussing, and how to do this fast. I believe that if one is really trained in manual focussing, he will focus almost as fast as an automatic focussing system, surely when using the ingenious focus peaking, and a good lens like the Zeiss ZM. The focus peaking allows you to immediately and purposefully focus on any point in the view finder. In my opinion (correct me if I’m wrong) this beats any automatic focussing system – surely in joy of use (and remember, that’s my #1 motivation!). To me this opened a new world. Where I used to really take time for every shot, thinking about DOF, pointing, focussing, holding the release knob half ways and reframing, I now enjoy instant shooting, but still framing and focussing in the best possible way. Only now I can do this instantly. What a joy! Many of you will think that it’s pretty remarkable that I only begin to shoot in this way in my late fifties, but hey, I’m just an enthusiast! Of course, shallow depth of field is something I’ve known for whole my life. But I never achieved it in my pictures so much until recently. Nevertheless, I don’t get why anyone would ALWAYS want to achieve THE MOST shallow DOF possible. Sometimes, like in my waitress picture, I want it to be 3D with a shallow background, but I believe it’s better for the atmosphere of the picture to still have some notice of the surroundings, instead off just having some light stains “to make a nice bouquet”. And yes, I sometimes accidentally start filming. So I delete those. That’s about it guys, and it really doesn’t spoil my joy of using this camera. For the rest, the balance and the feel of the camera is superb. And with the ZM lenses on it, my hand just doesn’t get tired. Ever! Do I have special comments on the NEX-7/Zeiss ZM combination? Yes. To work with, it’s just a perfect combination. The joy of use is tremendous. Never experienced that in my 50 years of shooting! (I owned more than 10 different camera’s.) Also, the price is right. Lenses and body “play in the same league”. They seem to be meant for one another. And then there is the magenta color shift. I can’t deny that it’s there. It is. Sometimes. Very rarely in my use. And only with the Biogon. With large aperture. But even then not always, or not noticeable. And when it appears, sometimes it’s only very slightly. Which doesn’t bother me. You know I don’t shoot wide open all the time. From the about 1000 pictures I took up till now, the magenta really bothered me only a very few times – two or maybe three, I already forgot it… Would I want to get rid of it? Sure! Will I buy another camera for it? No way!! Maybe Sony can fix it in a later software update, although I doubt it and I don’t hope for it. But if they do, I surely want the update. If the don’t I stay happy as it is. I hope you still can enjoy the pictures of a non-pro, who, I’m sure, sometimes will do things that “are not done” in a professionals opinion. If you can give critic of any kind, that can improve my shooting, you are so very welcome! Besides that, I guess the pictures can be very relevant for all those enthusiasts, who want to see what quality they can expect from this NEX-7/Zeiss ZM combination for themselves. Me being one of them! The pictures shown here are all taken out of hand, without flash, as jpg’s and often slightly processed with Photoshop Elements. I find the Shadows/Highlights function to be very effective, I sometimes somewhat skew and of course sometimes crop a little. Also I sometimes use a very small amount of Unsharp Mask. Oh yeah, also the Adjust Color for Skin Tone sometimes works very effectively. Those functions make it possible to work very fast, being designed to process photo’s and some of them are not available in the regular Photoshop. That’s why I prefer Photoshop Elements for my “normal” pictures, and Photoshop CS Extended for pictures that need to be printed in the magazine. Happy weekend to all, some new stuff coming soon! More Hyperprime, Crazy Comparison, & More! Its 2013 now. This article first solidified my commitment to keep my Contax Zeiss lenses for digital use. But now with the development of the Metabones speed adapter, the crop factor has been eliminated and the lenses(18f4,25f2.8,50f1.4,85f1.4 and 135f2.8) with the adapter permanently on my Nex 6, are sharper and faster than I recall on my Contax ST. Thanks for your comment. I read it only now, sorry for that. I believe it was very smart to keep your Xontax Zeiss lenses. I have been thinking myself of buying a Metabones adapter (for my old Canon FD lenses) but with the full frame Sony A7(r) coming up, I think I finally have found my ultimate camera body. Since this article, I use a lot more lenses on the NEX-7: Zeiss ZM (4 now), Voigtländer Classic, Canon FDs, Jupiter. 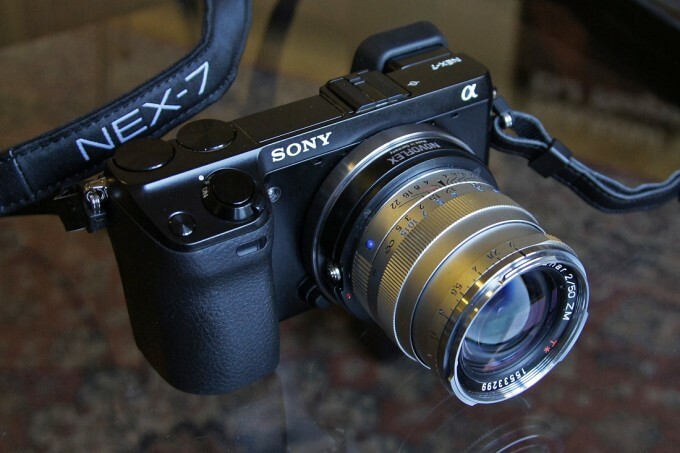 I expect them all to work in full frame format on the A7r, which I expect to arrive in one week. Exciting times! Thanks very much for your help. More questions will be coming once I receive my camera and adaptor. I have two Leica lenses, a 35 mm and a 90 mm, and three Nikon lenses, a 24, 50, 105. What’s your advice about which are better lenses for all-around shooting? Also, do you manually focus these lenses on the NEX-7? How do you know when the lens is focused on the chosen subject? Does it snap into focus on the screen? Next. Yes I always focus manually. With the NEX-7, this is best done with the focus peaking feature. Objects that are in focus will get a fine line appearing at their edges. You can choose between three colors and three sensitivities for those markings. It works fast and (big advantage) in all places of the viewfinder and LED display on the camera’s back. So you never need to reframe! With some practice, this works really fast. So it doesn’t snap, but it’s a clear visual indication that immediately tells you when you’re in focus. Focus peaking is a great joy to use. Personally I’ve decided never to buy a camera again, that doesn’t offer this feature. One thing I need to tell you. Your Leica 35mm will show chromatic aberration at wide open aperture. With you Nikon (I guess F-mount), there’s no problem. Now I have found a way around this CA-problem with Leica and other M-mount wide angles and I’m preparing an article about it. Of course I don’t know yet it Steve will find it interesting enough to publish, but it shows how I work around it. I had the same problem with my Biogon and IMO I’am able now to emiminate it competely. I was reading your experience report with the NEX 7 in February with interest. Got my NEX 7 a week ago and fitted my old manual Nikor lenses to it. Set up is all in manual focus mode. I do not use the focus peaking, but the magnification. Works really well and gives me the good, old manual focus feeling that I loves with my Nikon FM. I am considering buying a Zeiss ZM lens, either 35/2 or 50/2 Planar. You have both. IS there any soft corner or purple fringe issue with the Planar as well? With the Planar, there is no purple fringe at all. 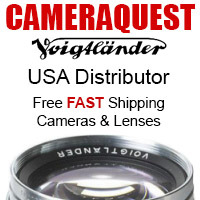 This is a wonderfull lens: razorsharp, very light and handy and very compact with an excellent feel. (It’s the one in the picture.) I’d go for the Planar and use Nikors as wide angles. BTW you absolutely need to try out the focus peaking. It’s much faster than the magnification and with some practice you can use it very well. Of course, when you have time enough for your shot, you can absolutely stick to magnification. I would too, because one can judge even preciser with magnification – but it doesn’t work for fast focussing. And like I said, with enough practice, it’s quite possible to focus spot on with focus peaking too. many thanks for the answer, which was the one I was praying for. The planar for highest optical performance and the Nikor wideangles, if needed. Hello Dirk, in 1954 my father bought me a Rolleicord which I will never part off. That was in Leuven! That is when I started taking photography seriously. I have been surfing the web in connection with the Nex 7 and the new Zeiss 24 mm f 1.8 which I obtained today. And this is how I found you. I am still charging the battery. I have several Leica cameras (M and R) and several lenses. I traded, in dollar for dollar, a Summicron 35 mm f2 apsherical. The last time I used that lens I found it to be a disappointment as compared to the previous non aspherical versionI when it came to slides. I have more then enough photographic stuff to trade in and can afford an M9. I am totally convinced that my photos will not have anything to be envious of what the M9 can produce. I am of the opinion that images produced with Leica have a particular look but the Zeiss lenses have that also. This, I first verified when taking pictures with a Zeiss Planar 50 mm F1.7 mounted on Contax. Mounted on the Sony Alpha 77 ,the Zeiss Vario-Sonnar 16 -80mm mm produces the best images I have seen taken digitally. And maybe, as others, my dream would be to have an M9 and parade with it on Avenue Louise in Brussels. Of course, driving a Bentley would be nice also. I have met Leicaphiles at a recent meeting in Chicago ( I live nearby) and frankly, all they were doing was playing with the menus. They all appeared disoriented, as if they had been the victims of a stroke. Of course, they were not so young . Many regretted trading in their film cameras and lenses and did not seem to get any enjoyment, that is looking at their pictures. Should I waste my time playing with M lenses with adapter on the Hex7? Guy Joassin. Sorry for my late reply, Guy. I don’t think it’s a waste of time at all! But with large angle glass (lower than 35mm), when used at large apertures, there will be a magenta color shift in the corners. I use my Biogon 28mm quite a lot, but most of the time not wide open (need larger DOF) and when I do, it often doesn’t bother me, since it can be compared with some slight vignetting, which I sometimes even really like. So I really can live with it. Nevertheless, when it could be corrected, I’d welcome it. So I advice you to do some test shots first, to see if it works for you too. For the rest the NEX-7 is to me the most handy camera ever. It’s simply perfect in size, weight, handling, etc. Never loved shooting pictures that much befor than with the NEX/Zeiss combination. Something I maybe need to add, Guy, is, that I have set up my NEX-7 to be used like an “old style” manual camera. That’s how I want it, that’s what gives me the feeling of being in total control, that’s how I have the most fun. So the few times I need to look something up in the menu’s, I hate it. 🙂 That’s why I avoid those situations more and more. Another thing I want to emphasize: the focus peaking is really wonderfull and to me it’s the nicest new feature since many years and a must when focussing manually. I simply don’t wanna work without it anymore. If you’re not yet familliar with it, you absolutely need to try it out before ever deciding to buy a new camera. It’ll give you so much joy! Hello, thanks for your reply. I finally received the Nex7 on March 31st with the 18-55 lens. I will put the Zeiss 24 mm 1.8 (E mount) on the camera when I become more familiar with it. It appears people recommend putting non Sony manual lenses on the Nex5n which is not programmed to take in account what lens is in use. My friendly photo supplies vendor has loaned me a Metabones adapter for Leica M lenses. I will try that first and then 35mm Zeiss lenses. And now I read that there are problems with focusing at infinity with some adapters including the Novoflex ones. I may forget it and possibly trade in my “Leica M stuff” for “Sony stuff” with Zeiss lenses. GJ. All I can say is that the Novoflex works perfectly for me, without any focussing problem what so ever. Novoflex should make the best adaptors available. Still I believe that not all brands care so much about precision, when manufactering adapters. And I wouldn’t be surprised if some guys lump all adaptors together, and blame Novoflex for all the defaults of other brands. Who knows. Anyway, I don”t doubt for a second to use Novoflex. My dealer in Aachen (Germany) had 7’s sitting in his window just today. Dirk, I picked up a 35mm summi I ordered some time ago after good experiences with a nex-5 and CV lenses. May I ask about the camera never sleeps when on neck, does it happen when you hold it? The photographs are so sharp!! When being around your neck, the proximity of your body triggers the viewfinder. I’d prefer, when being in standby mode, that the first touch of the release knob would wake it up and that one also could manually put it in standby. It’s so difficult to judge some features, when one is not really using the camera. And some (professional) reviewers really tell you every single remark there is to make, even if it’s a futility like the EVF lag. I know it’s their job, but sometimes this gets things out of perspective in that way. Now we must ask ourselves: what do we want? Manual switching between viewfinder and display? Now thàt would be slowly. Or do we want them both to be on all the time? No way, it would be terribly annoying when using the EVF. So we want a detection system. But can we expect a detection system with no delay at all? I guess not. So the questions is: how fast is it? Well, I measured the delay to be 0.2 to 0.3 seconds. Pretty fast to me! It’s that fast that I have never given it a thought in the about 1000 shots I took (only a few looking at the LCD). Almost always the EVF is faster than me pointing my eye through the viewfinder. Maybe my glasses make me a fraction slower than you. But Steve doesn’t wear glasses, and he didn’t complain. I think, with the exceprion of the standby mode, Sony did the best possible job with this EVF, with excellent detail and with a very short delay. To me the rest is hairsplitting. I guess the only way is for me to test one out. It will be officially available in Singapore tomorrow. My concern is that I am so use to working with a film Rangefinder and that kind of immediacy in seeing that this camera might not provide. Then again it isnt the same kind of camera so i just need to work with what it is than what i want it to be. cheers! I’d hire that waitress! She looks like she cares about people and her job. Nice shots, good article. This is a bit surprising to me. I just doublechecked with one of my older camera’s, that I’ve never sold, a Canon A1. Removing the lens revealed the mirror, and I guess nobody wants the mirror to get stained by dust or snowflakes or whatever. So I have always changed lenses with the gratest care – also to protect the lens itself. And even with a protected sensor, I wouldn’t want dirt to get in the camera, so I think the utmost care is approprate anyway. Maybe I’m missing something here, you know that I’m no pro. But we both know that there are camera’s for tougher circumstances. You can even find some to shoot under water. So are those the “least sissy” camera’s then? I tried NEX-7 and Zeiss M mount lenses thinking this would be a perfect setup for me. Bit I got really poor photos. Sharp in the centre, but poor sharpness, poor contrast in corners. Also weird color shifts behaviour in the whole frame, weird artifacts. Tried 3 adapters, different models. Also focus peaking is very slow if you want accuracy. Lots of troubles, lots of glitches. And I was thinking, why the hell did I even considered this ? We have amazing systems now, especially designed for digital. That includes Leica, because their camera is the only one designed to take analog lenses to digital world. For the rest of system, use modern lenses designed for digital, that’s the best advice I can give. By the way, I don’t get what you mean by “an analog or digital lens”. I thought that the image is only digitallized at the point where what used to be film is replaced by a sensor. What I wanted to say with my article is, that to me there is much more joy working in the traditional manual way. Of course, to get good pictures, you need to think differently than with a highly digitally controlled camera. But I love that creative process so much more. And with this camera/lens combination, this process goes mutch smoother then ever before. That’s exactly what thrilles me. Nevermind Dirk, I am missing several important information (type of adapters he was using, type of Zeiss lens he was using, is he used to manual focusing?) in the comment of D3xmeister. Seems like a Point-and-Shoot-Enthusiast is not used or even frustrated about the manual work style. Dirk. You forgot to mention one “remark”, I would call it an issue, a problem to fix. Like most of the mirrorless cameras NEX-7 leaves the sensor exposed to elements when the lens is removed. I still cannot understand, why Sony so stubbornly refuses to address the problem. Almost nowbody seems to bother, which may indicate, that they don`t use mirrorless in tough condition, thus indicating that these are kind of “sissy” cams. I haven`s used NEX-7 (hasn`t arrived to Danmark), but I cannot immagine lens changing in a blizzard (snowflakes), wind and dusty dessert (dust) or windy drizzle (droplets) without getting sensor marred. It stays uncapped in on and off position. The cam has mechanical shutter (like most of mirrorless), and few lines in software would fix the problem. The moment lens is removed the shutter covers the sensor. What do you think. Does it bother you. p.s. The only mirrorless that takes care of aforementioned (in my eyes, serious ommitance) is Ricohs GXR m-module. You have still to power the camera off to cover the sensor. If only Ricoh improved GXR with tiltable LCD, Sonys EVF and weatherproof body it would be a perfect adventure mirrorless. Just immagine, being able to change lens units in monsoon rain! i can’t find much photos taken by this camera that inspire me either its a sensor or software problem , its photo having some crappy weird artifacts , look at the photo of the restaurant girl for example she has a glowing line around her face and her shoulders , i think sensor manufacturer going too fast to increase megapixel regardless of the image quality . Hi Dirk, tks for taking time to share your experience. Your article is nicely written, gives a balanced perspective and shows your passion. I also like your acceptance of the foibles of your equpiment but despite this you put a postive spin on it. I can find my selves completely in your story. I got my Nex 7 (in Holland) just before the Christmas days and use it with Leica, Zeiss Contax G glass and the new Zeiss 1.8-24mm Sonnar. I now have used it long enough to say, this is a great camera which give me very high quality images. The Contax G adapter works Ok, but not always smooth, however the Biogon 28mm, Planar 45mm and Sonnar 90mm are superb lenses and the peaking let me focus easy and quick. I also use the Zeiss Distagon 4.0-18mm. It gives a very little magenta color, mainly in the left low corner. No problem, I made a profile with “Cornerfix” and that works fine. This camera is a keeper! Thanks for sharing and good luck! By the way, are you Dutch? Ja, ik kom uit Holland. Het belangrijkste is dat je RAW bestanden moet omzetten naar DNG. Ik fotografeer altijd in RAW formaat. Normaal gebruik ik Aperture maar helaas heeft die nog geen update voor de Nex7 RAW bestanden. Adobe Lightroom kan de RAW bestanden van de Nex7 wel verwerken. Dus zet ik de RAW bestanden via Lightroom om naar DNG. Zie onderstaande link voor een goede uitleg/tutorial van Cornerfix. Voor ieder lens die last heeft van de magenta kleur zou je een apart profiel moeten maken. Ik heb het enkel voor mijn Zeiss Distagon ZM 4.0-18mm nodig. Succes. nice post… appreciated; I am having NEX 7 + Zeiss Planar T* 50/2 M (on adapter) and enjoy it. Now I am planning to expand my CZ/M mount collection but am in doubts regarding the choice in far ends – i.e. wide angle & telephoto. Thus would appreciate your extended comments regarding especially the Tele-Tessar 85/4 which U report to be using. I am hesitating here between Zeiss and Voigtlander 75/1.8 Heliar whereas of course the F number rules, but at the same time the Zeiss reputation also has its vote… any idea? I love the Tessar so much! 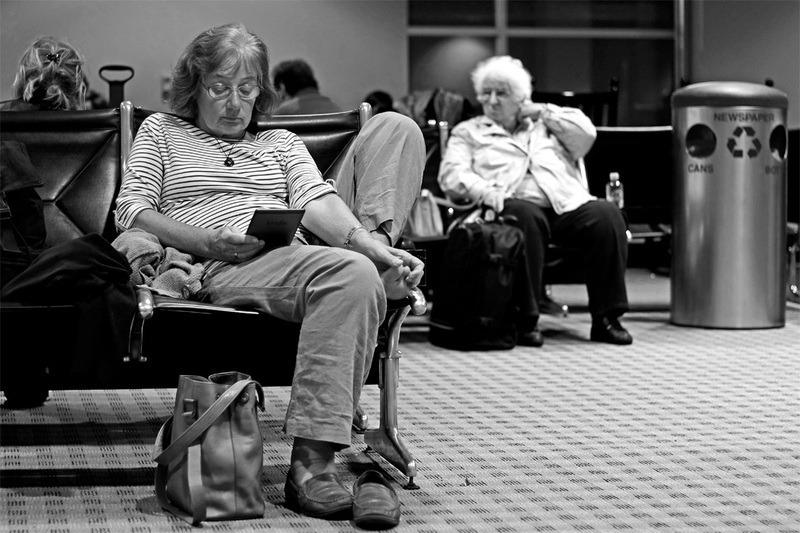 As it happened, out of the pictures that I send, Steve chose three that I shot with it: the two in the airport and the waitress picture, which wer taken at reduced light conditions. To me the telefactor and sensor crop are perfect to make those “intimate” pictures. (This means I must buy something like a 135, should I ever buy a full frame body…). I also love the 3D of it. And I was also very pleased by the colors of the waitress picture, expecially the tones in her face, which are even so much nicer at 100%. But sure, with a 1.8 you’d get a more shallow DOF. Thanks for sharing, unfortunately or fortunately in the US the NEX-7’s availability has been limited, which meant I was forced to wait. Now with the Olympus E-M5 announcement I’m tempted to go in that direction because I already have a collection micro four thirds lenses and M4/3 adaptors for my Leica and Nikon lenses. What is the shutter noise like on the NEX-7? The big reason why I love the Oly is because it’s whisper quiet, perfect for shooting in sound sensitive locations. I would be tempted to pick up the NEX-7 if it was just as quiet. I didn’t try the E-M5. 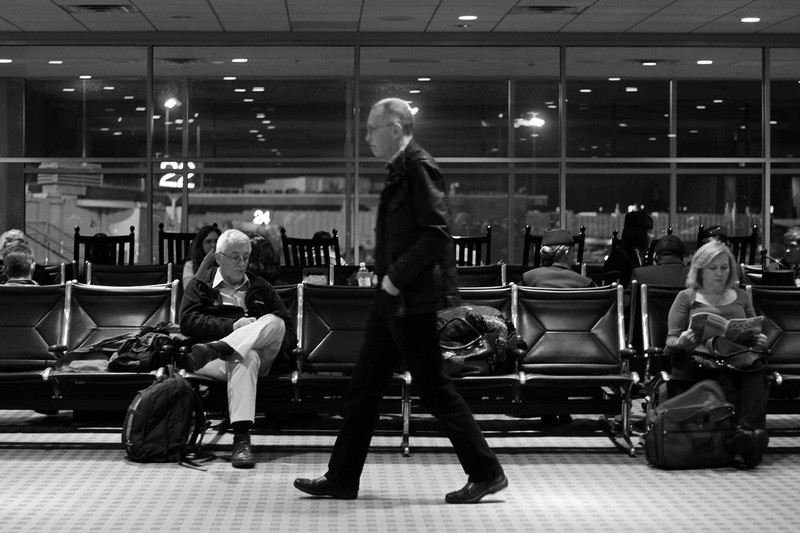 But I took quite some shots at the airport, without disturbing anybody, I guess thanks to the very compact size of NEX and Zeiss and the shutter not being too loud. Nevertheless I guess it would be a good idea if Sony would provide different shutter volumes. Hey, go for WATE that works with no magenta issues. It is only very few wide angle lenses that do. 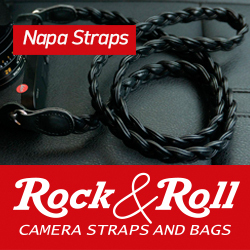 Look at LL website for examples in their rolling NEX 7 review. Can you explain a bit more about WATE and what’s the exact url of the LL website? WATE bedoelt “Wide Angle Tri Elmar”, éen objectief van Leica (16-18-21 mm). Hi Dirk, thank you very much for this article. It was interesting to read, as I am waiting for my NEX 7 and a Novoflex Adapter NEX-LEM. My Zeiss Biogon ZM 35 2.0 is waiting too and with your article I am even more “enthusiastic” to get my NEX. Thanks for sharing… Still using my Nex5 with my Biogon 21 and cron 35. Great combo. I cancelled thé NEX7 because thé 21 would be a no go. Zeiss Contax G2 lenses work and look great also but thé adaptor has a nob in thé way. Nice review. Nice photos too. I own a Leica M9 and recently bought a Zeiss 28mm because I could not find a Leica lens to buy and because I got it used on ebay for 1/3 the price of the Leica. I like the Zeiss lens but in my hands the colors render a bit on the cool side. I can correct in Photoshop, but it is weird. Have you seen this on the NEX? These novoflex adapters are just like lottery. I had 2 of them. My super elmar 18 passes infinity with first and it was too tight so it was hard to mount a lens. With the second the infinity was almost precise , only a little pass, but it was misaligned and caused color shift at the bottom. Used them with NEX-5N. So I decided to buy M10 if it will have EVF (I hope it will).